In Osborne v. Baxter Healthcare Corp., a deaf woman applied for a job as a plasma center technician. After two interviews, she was conditionally offer the position pending a background check and some basic paperwork. However, when HR learned that the applicant was deaf, it rescinded her offer. So, the woman sued for discrimination under the Americans with Disabilities Act. Both side agreed that deafness is an ADA disability, and the reason the job offer was rescinded was because of her deafness. The employer argued that the offer was rescinded because the plaintiff was not qualified for the job; that is, she could not perform the essential functions of the position with or without a reasonable accommodation. Undue hardship means more than mere lip service. A plaintiff alleging failure to accommodate must show that she proposed an accommodation that was reasonable on its face. Here, one of the accommodations requested was a vibrating alarm. Seems reasonable to me. But, maybe it could create an undue hardship (e.g., too expensive for the business). Then again, according to Wikipedia, the employer, a Fortune 200 company, had 2013 sales of $15.3 billion. And the only evidence in the record on the feasibility of equipment modifications was an employee, who indicated that the company was unable to modify the machine and any modifications would have to be requested through its vendor. Trust me when I tell you that arguing that you had to contact a vendor does not show undue hardship. Engage in an interactive process. Now, I’ll admit that I didn’t scrutinize every word in the opinion, but I saw nothing in there about the employer engaging in an interactive dialogue with the plaintiff. Where I practice, when the employee does enough to place the employer on notice that she needs an accommodation, the employer must engage in a good-faith interactive discussion about possible accommodations. Otherwise, the employer is up the creek. While not addressed by the Court, I saw no evidence of that here. Above all, remember the lessons from this case and the lifeguard case. Don’t judge a book by its cover. Explore accommodations with an open mind, seek professional assistance when necessary, and only after you have exhausted possible, reasonable options should you decline to provide an accommodation. 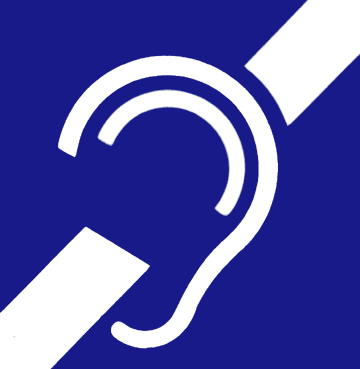 Image Credit: “Deafness and hard of hearing symbol” by State of Rhode Island and Providence Plantations – State of Rhode Island and Providence Plantations. Licensed under Public Domain via Commons.